Description 17 Disc/Disc VAC Power Brakes, 20 x 9 Polished Aluminum Wheels, All-Weather Cargo Mat (LPO), All-Weather Floor Mats, Black Assist Steps w/Chrome Strip, Convenience Package, Inside Rear-View Auto-Dimming Mirror, Interior Protection Package (LPO), Manual Rear Liftgate, OnStar Basic Plan For 5 Years, OnStar w/4G LTE, Power-Adjustable Pedals For Accelerator & Brake, Preferred Equipment Group 3SA, SLE Value Package, Universal Home Remote. Clean CARFAX. 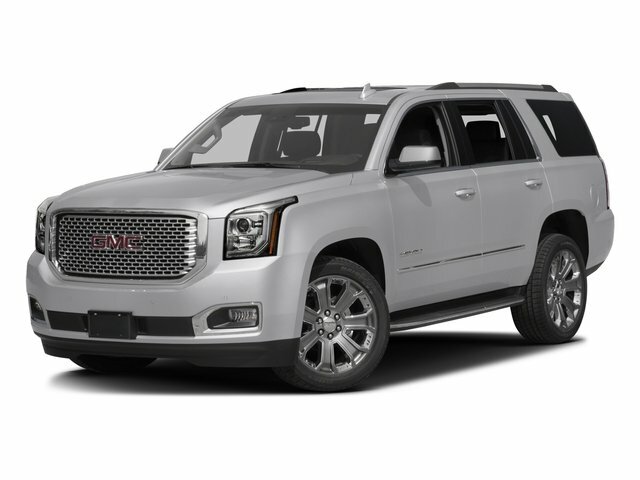 Quicksilver Metallic 2017 GMC Yukon SLE RWD 6-Speed Automatic Electronic with Overdrive EcoTec3 5.3L V8 CARFAX One-Owner. SLE VALUE PACKAGE includes (DD8) inside rearview auto-dimming mirror (JF4) power-adjustable pedals (TB5) rear power liftgate (UG1) Universal Home Remote and (RD5) 20" polished aluminum wheels.